Are you looking for an affordable and reliable company for your art canvas printing needs? Then Superchrome is the right place for you. We are a full service, professional digital printing company in the UK extending a wide range of services to clients across the world. We can create canvas art prints that look exactly the same as the original masterpieces. All your paintings, illustrations, and photographs can be changed into excellent and distinctive art works. Superchrome has the expertise to print all your valuable paintings, including abstract, contemporary, modern, landscape, figurative, decorative, and even children’s art. 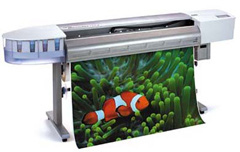 We have the necessary resources and facilities to perform art canvas printing as expected by our clients. We make use of the most advanced digital printing technologies and the latest state-of-the-art large format digital printers. The inks used in our printers are pigment based and ultra violet resistant to enable the printing to remain on canvas for long periods of time. Superchrome knows the importance of each and every client who avails of the service from us and performs the printing work accordingly. We satisfy our client needs by printing art canvas in a timely and fast manner. We always let them know the price details and the exact delivery time before we start the work for them. You have the option to select the size and shape of the canvas material that you are in need. You even have the right to ask us framed, unframed or stretched art prints. We finish your art canvas prints to have matte, gloss or semi-gloss appearances. Excellent quality, timely submission and reasonable price are our noteworthy features. Custom printing is our specialty. If you would like to know more about printing art on canvas, any of the projects shown or if you want to discuss any project you have coming up then contact us 020 7237 9333 or fax 020 7237 9444 or email sales@superchrome.co.uk. Our experienced personnel would be able to guide you appropriately.